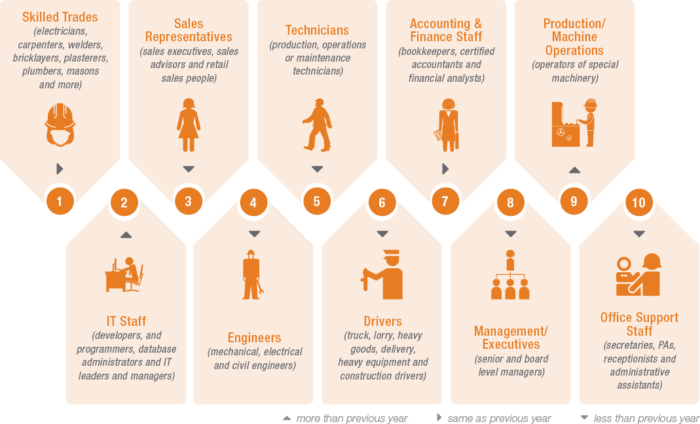 ManpowerGroup data shows that 45% of employers have difficulty in filling positions today. Such a shortage is higher than that during the Great Recession. In this article, we’ll explain how companies survived then and how you can solve employability issues with in-house talent development now. The financial crisis of the late 2000s crushed the world’s financial and labor markets. This period was called the Great Recession and was caused by the subprime mortgage crisis. This crisis hit employability hard: companies struggled with hiring, applicants couldn’t find new jobs and faced losses in earnings, and many people lost their jobs. New financial-market policies enacted through the American government brought the crisis to an end, yet the positive effects of these implementations remain controversial and questionable. Some people believe that the crisis has never been overcome and that the world is still dealing with its consequences. But we’d like to discuss companies that have managed to survive the crisis and see how they did it. Empathetic companies kept investing in their employees. Postrecession winners used a customer- and employee-centric approach to work, saving good relationships within an enterprise, improving operational efficiency, and streamlining technologies. They focused on delivering a personalized and affordable-in-a-crisis quality product. (For instance, Netflix rode out the storm, engaging more viewers by implementing an unlimited and cheap streaming plan.) And they didn’t cut the workforce, despite the odds. Employees in such companies received security and stability—empathy for their fears and anxieties despite the crisis. Thanks to that, they stayed loyal to top management and committed to businesses, remained innovative, and worked better to outperform competitors. Engaged and loyal employees helped companies to grow post-recession. Businesses that were understanding and sympathetic to their employees got motivated and engaged employees as a reward. A German study from 2008 showed that the percent of committed employees was highest in companies with an employee-oriented corporate culture (45%). Only 14% of these companies’ workers felt “dissatisfied or demotivated”, while 34% of them were “actively committed” to work. Compare these numbers with 21% and 24%, respectively, in less successful businesses. Those who invested in employee training won. Human capital is the most important resource for every business. Investments in people’s engagement, well-being, and training are vital for a business to function and prosper. In times of the Great Recession, quickly recovering companies acknowledged and addressed the importance of training. The training opened possibilities for acquiring new technologies, provided businesses with high employee morale and loyalty. Learning engaged workers in the business process and, therefore, increased productivity, profits, and created a “buffer” for consequences of the recession. In critical times, shared knowledge was more valuable than individual understanding because it allowed companies to keep the needed skills in the house, despite the high rates of employee turnover. Although many have been arguing that Learning and Development was a waste of money, it’s evident that the dilemma of training or “to learn or not to learn” was resolved in favor of L&D: It had (and still has) positive short-term and long-term effects on businesses and was essential for recovering from the crisis. As the severe stage of the Great Recession passed, the world of business and innovation began to grow and develop with what seemed like an escape velocity. Nevertheless, companies are still struggling with a recurring issue: the lack of employees. In the US, talent shortages are around 46%. As ManpowerGroup report states, the main reason behind these numbers is a lack of skilled applicants to fill a position; the world’s employability feels not much better. There is no surprise in that: businesses grow and the demand for human capital rises above them, while experienced workers in trades skills are retiring. According to i4cp, 87% of large organizations report that the pace of change is accelerating. For businesses, staying flexible and adopting is mandatory to remain appealing to applicants. To fight the shortage, they must re-calibrate their mindset, particularly, their perception of learning and development practices and their approach to decision-making. L&D practices for talent development and better performance. The attitude towards training has changed over the last years: ManpowerGroup reports that 54% of companies offer training to existing staff to overcome talent shortages in 2018. They understand its advantages (learning is great for business performance and employee retention) and remember its positive impact on work through tough times. In-house talent development is implementing training initiatives in order to help existing (old or new) employees gain new skills and competencies to perform better and adjust to new, more fluid job roles. training takes too much time or can’t be applied to practice right after. Talent development is often followed by inconveniences and mistakes, based on biases or stereotypes about employees’ race, gender, or the education level, hindering progress and performance. To build an effective L&D strategy and develop new talent, you need information about your employees, not assumptions—and for that, you need data about employees’ performance and preferences in learning styles. Data as a source of facts for HR and L&D decision making. The data-driven approach to creating a training program is able to overcome “human errors”. Although for effective human capital decision-making in HR and L&D, it’s necessary to be able to “translate data” and extract meaningful business solutions from them. There is no use in collecting data if you can’t interpret it and make it useful. A training strategy that is based on data about employees’ strengths, weaknesses, and preferences in learning styles helps to avoid biases in the perception of employees, keeping human error out of the evaluation and talent development. Meanwhile, we’ve prepared for you an ultimate guide to developing in-house talent using an employee-centric approach through data-driven training tools. Subscribe to the Rallyware blog to receive this guide in our second read from the “Talent shortage” series as soon as it is published.